Are themes sold on third party sites valid? Out of the Sandbox themes are sold exclusively through the Shopify theme store (themes.shopify.com or the equivalent country code specific domain) and through outofthesandbox.com. Other select Shopify partners may also offer our themes as part of design, coding, setup or other professional services. If you find our themes for sale on any of these sites or services, please be aware that these are NOT authorized licenses and Out of the Sandbox will NOT support themes purchased from unauthorized third parties, even if you were not aware that the purchase was unauthorized. Read more about Shopify theme piracy here. Some individuals attempting to sell pirated themes may claim to be "authorized resellers" of Out of the Sandbox. Out of the Sandbox does not have an authorized reseller program so any such claim is false and likely will result in the purchase of an unlicensed theme. No one can claim to be an authorized reseller. The only valid places to purchase Out of the Sandbox themes are via the official Out of the Sandbox website or the Shopify theme store. Out of the Sandbox does, however, have an affiliate program that allows third party individuals and companies to refer sales to Out of the Sandbox. They are then paid a commission based on that sale. However, all affiliate purchases must be made through the official Out of the Sandbox website. If you do not see https://outofthesandbox.com or https://themes.shopify.com in the URL, then the site is not authorized to sell our themes. If you are working with a third party developer who includes the cost of the theme in their bill, we strongly recommend verifying with that developer that the proper license fee has been paid to Out of the Sandbox to avoid having your store flagged as unauthorized later. We recommend obtaining a copy of the theme purchase invoice for your records. 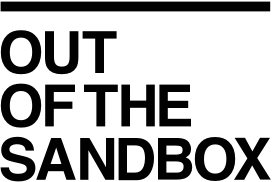 Out of the Sandbox appreciates reports of sites or sellers attempting to sell or distribute our themes. You can send reports via our help center. If you decide to purchase or use an authorized copy of our themes, please be aware your actions may be illegal and violate the intellectual property rights of Out of the Sandbox. Stores discovered to be using authorized copies of the themes may be given the opportunity to purchase a valid license at the current retail price (unfortunately, we cannot discount the cost to account for any fees you may have already paid a third party since we did not receive those fees). We recommend contacting the original seller for a refund of any such fees. Stores found to be utilizing unauthorized copies of Out of the Sandbox themes may be reported to Shopify and may have their accounts suspended by Shopify without notice. Out of the Sandbox's terms of service also prohibit transferring, whether for a fee or or free, a theme to another store that you do not own or making a copy of a theme's files and using it on another store without purchasing a separate license. Please note that Out of the Sandbox reserves the right to take legal action against any store found to be using authorized copies of themes, even if the owner is unaware that the theme is not properly licensed.